Former pop-up restaurant becomes a permanent downtown Fullerton fixture, serving burgers and comfort food. : Burger Parlor, the Fullerton casual "pop-up" concept created by former Bastide chef Joseph Mahon, has opened a permanent location in the city's downtown area. The wide array of burgers that were offered at the temporary eatery are featured on the menu, as well as several new comfort food items ranging from potpie to poutine. 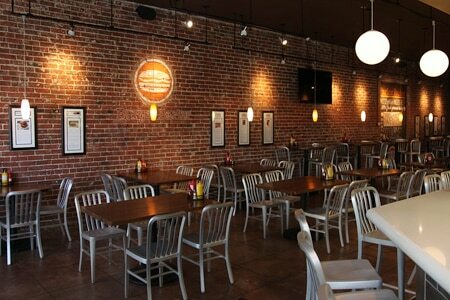 Additionally, the place features special menu items pairing burgers with Belgian and craft beers.